Originally from New York City, Susan Carlin Galdy received her early training from the Metropolitan Opera Ballet School and Robert Joffrey’s American Ballet Center. She was awarded a full scholarship to the Harkness Ballet Program where she trained under David Howard. Ms. Galdy holds a B.F.A. in Dance from SUNY Purchase and continued her training under scholarship with Finis Jhung. She has performed professionally with New York’s Theatre Dance Collection and The DeYoung Dance Theatre. Ms. Galdy has served on the faculties of several studios in New York City, the University of Massachusetts, and Meredith College. 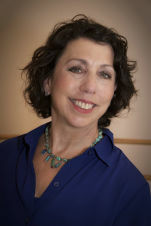 She joined the faculty of The Raleigh School of Ballet in 1991 and became Associate Director of the School in 1999. Ms. Galdy was named Director of The Raleigh School of Ballet in the fall 2002.